Sally Mauk: Welcome to the "Campaign Beat" our weekly political analysis program. I'm Sally Mauk and I'm joined by University of Montana Political Science Professor Rob Saldin and veteran Capitol Reporter Chuck Johnson. And Chuck, President Trump this week continued to attack Senator Jon Tester for his release of allegations that led to the resignation of Dr. Ronny Jackson to be the new head of the V.A. And Trump made this very overt threat. "Tester started throwing out things that he's heard. Well I know things about Tester that I could say too. And if I said them he'd never be elected again," Trump said. SM: And Chuck, Trump hasn't said what he alleges he knows, and Tester this week said there's nothing to know. He has no skeletons. Chuck Johnson: Yeah, and you know, just from reporting over the years we never heard of any skeletons in Jon Tester's closet. So, as with a lot of things with President Trump, it may have just been rhetoric with no substance behind it. It may cause Trump to come to Montana and campaign, but at least as far as reporters know, there are no skeletons in Jon Tester's closet. Remember he worked closely with the chair of the Veterans Affairs Committee in the Senate, Senator John Isakson a Republican from Georgia. They worked together on this. SM: And Trump is not happy with Senator Isakson either. CJ: No, he's in the doghouse too. SM: Chuck, the Jackson fiasco has given new ammunition to Tester's opponents to use in campaign ads including this one from Trump's America First Action Super PAC. Action Super PAC ad: "In Montana we value integrity and support our president.But Jon Tester spread false information about a respected Navy admiral, helping D.C. Democrats derailed President Obama's Veterans Affairs nominee. Jon Tester has been part of the D.C. swamp for far too long. He's betrayed our trust, our veterans and our president. Jon Tester: disgraceful, dishonest, and that's why it's time for him to go.". SM: "Disgraceful and dishonest." This ad doesn't pull any punches, Chuck. CJ: No, it's hard hitting and it will get even more hard hitting I suspect down the road. There was an AP fact check of what happened with Trump and Tester and the AP found that Jackson was involved in three car wrecks with government cars, but alcohol was not involved in any of them. We'll see. I mean there may be more details about Jackson's background yet to come out, but I think this is clearly the focus of attack for Trump and these PACs that are going to come in against him and they're going to call him every name in the book, including dishonest and that sort of thing. And that's just the way it is right now. SM: And of course Senator Tester has said this is not a surprise to him. They were going to go after him no matter what. And it's not the only ad, Rob, out there attacking Tester over the Jackson investigation. Rob Saldin: Right. There's another one from the National Republican Senate Committee. And my take on all this is that these ads really kind of represent the first bump in the road for Tester, and I do think they're significant. This just was not part of the plan for the Tester campaign. And I think we can see that very clearly by the way Tester has bent over backward to emphasize the areas in which he has been able to work effectively with the White House. And maybe the best example of this strategy is that memorable ad that came out several weeks ago in which he runs out of fingers counting up all the bills that he's had signed into law by Trump. So these attacks from Trump really undermine Tester's attempt to kind of present himself as someone who able to strike a balance with regard to Trump. Now all that said, I think it's not a total disaster for Tester. Just on the merits of the Jackson nomination, Chuck, as you say, I mean he's gotten a lot of support not only from Johnny Isakson who helped prepare that list of allegations that got released, but also subsequently Johnny Isakson has come to his defense. Journalists who've also done their own independent research have been able to corroborate many of the allegations. And then there was even some stuff that came out about Jackson maybe doing some things that were improper with regard to the records of Vice-President Pence's wife. So he's got a lot to cover on this stuff. 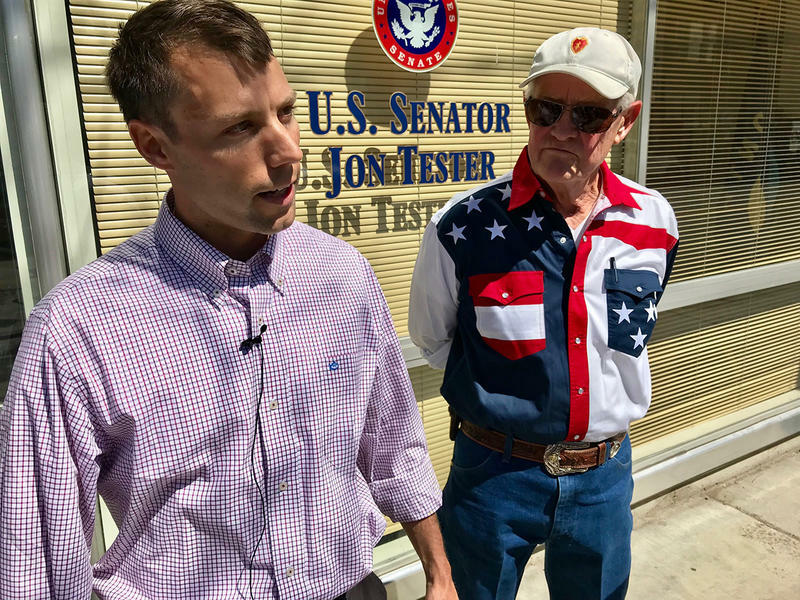 And you know, the other, maybe minor upside of all this for Tester is that it does remind people that he's very engaged on veterans issues. But, kind of regardless of some of the actual facts of this particular issue, it does really kind of throw a wrench into Tester's plan to kind of paint himself as somebody who can work with Trump in certain situations, that hold him accountable when he can't, so. SM: Rob, one of the Republicans who hopes to run against Tester, Russ Fagg Billings, has a new ad out that is also hard-hitting. SM: Murderous illegal aliens. This ad is not appealing to our better nature, Rob. RS: Yeah. What surprises me about this ad is that at least prior to this, Fagg has been the most genteel of the Republican Senate candidates. He's been the least Trumpy, almost a throwback to a pre-Trump style of conservatism that exuded good manners and calmness and decency. But this ad is certainly way out of step with all that. I mean, it seems to, among other things, deliberately emphasize race. It offers a hysterical, way over the top presentation of the immigration question. It articulates a kind of enthusiasm for the death penalty that is unusual. Usually when people make an argument for the death penalty it's just more restrained. They'll say, well, there are some crimes maybe that are so heinous that the death penalty is appropriate, and the death penalty serves as a deterrent. So, all things considered it's a sensible policy. But this ad just seems to be unabashedly enthusiastic about the death penalty, which is just a little unusual. And you know, it suggests to me that Fagg -- we're either seeing a different side of Russ Fagg, or we're seeing an indication of where he thinks Republican primary voters are at and the kind of message that's going to resonate with them. SM: By contrast, Chuck, in the U.S. House race, Democrat Kathleen Williams has a very humorous new ad that plays off campaign ads from other candidates that featured them shooting TVs and chopping wood, et cetera. SM: This is a clever ad. You really have to see it to get the full impact. But it also really humanizes Williams, I think, Chuck, wWho is not always naturally at ease in front of the camera. CJ: It does, Sally. I think any ad that can add a little humor is good. And certainly we've seen a lot of ads over the years that had people toting weapons, had people shooting TVs, you know, chopping wood and the like. Everything to prove they're an outdoor person in Montana. So I think it did cast her in a different light, showed a little humor in it. I think it was a good ad. SM: It also had an allusion to Greg Gianforte's assault on the Guardian reporter, with Williams standing there was some boxing gloves. CJ: Yeah it did. And she goes on and says she wants to run for Congress on the issues, not fakery. I thought it was a good message. SM: John Heenan also has a new ad, Chuck, that reinforces his campaign theme that he'll stick up for the little guy. SM: That's a pretty nice ad Chuck. CJ: It is, and this is the ad that we've been expecting from John Heenan, and clearly the best he's had this year. And this is what he does as a trial lawyer. He's represented a lot of people who've been foreclosed on improperly by banks. And this tells a very human story. And I think it conveys that this is the kind of person he is. He's willing to take on. the big guys; banks and insurance companies and the like. And I think it worked very effectively for him. 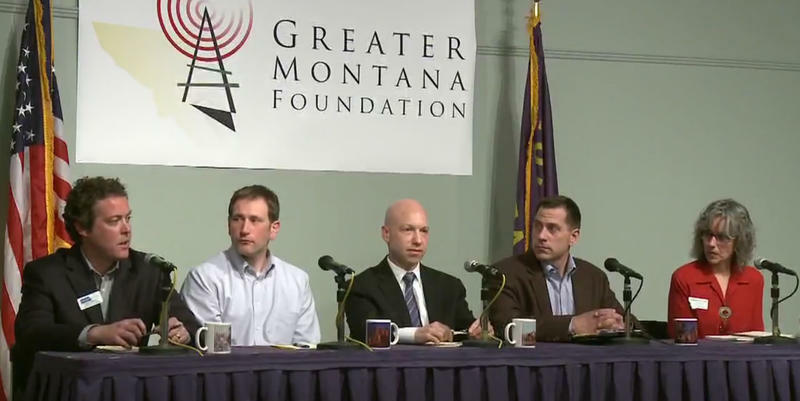 SM: Rob, all five of the House Democrats held another debate where they politely but pointedly tried to explain why they, not the others, have the best chance to beat Greg Gianforte in November. And I think they all did a good job of pointing at each other's general election vulnerabilities. RS: Yeah, well the moderators helped with that as well. I think we did get a preview of whoever emerges from that Democratic primary, of what the attack is going to be on them. And, you know, I think there were no big surprises. Everyone seemed to be prepared with an answer. I thought, in a way, that maybe Heenan's response was the best. The charge was basically, you're running as a left-wing populist who's out of the mainstream. And he says, hey you know, guess who else ran as a populist and did really well in Montana? Brian Schweitzer and Bernie Sanders. So I think that's pretty effective. I'm not totally sure that it's true, that it wouldn't be a liability in November, but it's pretty good response. Kier was kind of asked about whether being from Missoula and being painted as an environmentalist would be a problem. I mean, if he gets a nomination I think he'll obviously have to deal with that. He has some good answers for that, based on his work with land trusts that sent him out into the field working with a wide range of people; ranchers and farmers and whatnot. Kathleen Williams got asked about her increasingly aggressive stand on guns and whether that would hurt in November. I mean, these are all the obvious issues. And so whoever emerges from this will have to deal with that kind of a question. SM: Chuck, Williams had the good line that, "I'll be a fighter and a fixer." That's catchy. CJ: Williams used a line she's used in a lot of the forums where she says Montana hasn't elected a woman to Congress in many many years and it's time Jeannette Rankin had someone to join her. So, that's a good line for her. And she's the only woman in the Democratic primary in the race this year. SM: Rob, there was a maybe a little bit of a surprise endorsement this week. Lynda Moss of Billings who recently dropped out of the House Democratic primary race is endorsing Grant Kier instead of her fellow Billings resident John Heenan. RS: Yeah, I think when she announced that she was getting out of the race about a week or two ago she also announced that she would be making an endorsement. And you know, at that time, we talked a bit about how I thought at least that her dropping out really helped Heenan, because they were both from Billings and Moss is very well regarded in Billings. And so with her out, Heenan would be in a good position to really run up the numbers in Billings. But obviously, this endorsement really helps Kier and mitigate some of that. I'm still not convinced that if Kier had his druthers that he might prefer that Lynda Moss had just stayed in the race, that that ultimately might have been more helpful to him than an endorsement. But certainly this does mitigate that a bit. CJ: Well, the funny thing is Lynda Moss's name will still be on the ballot. She dropped out after the deadline to remove her name from the ballot. So, even though she's suspended campaigning, she will be on the ballot. SM: You've been listening to "Campaign Beat," our weekly political analysis program. I'm Sally Mauk I've been speaking with veteran Capitol Reporter Chuck Johnson and University of Montana Political Science Professor Rob Saldin. Spring wildflowers are blooming guys. Hope we all get out to see them this weekend. And I'll talk to you next week. 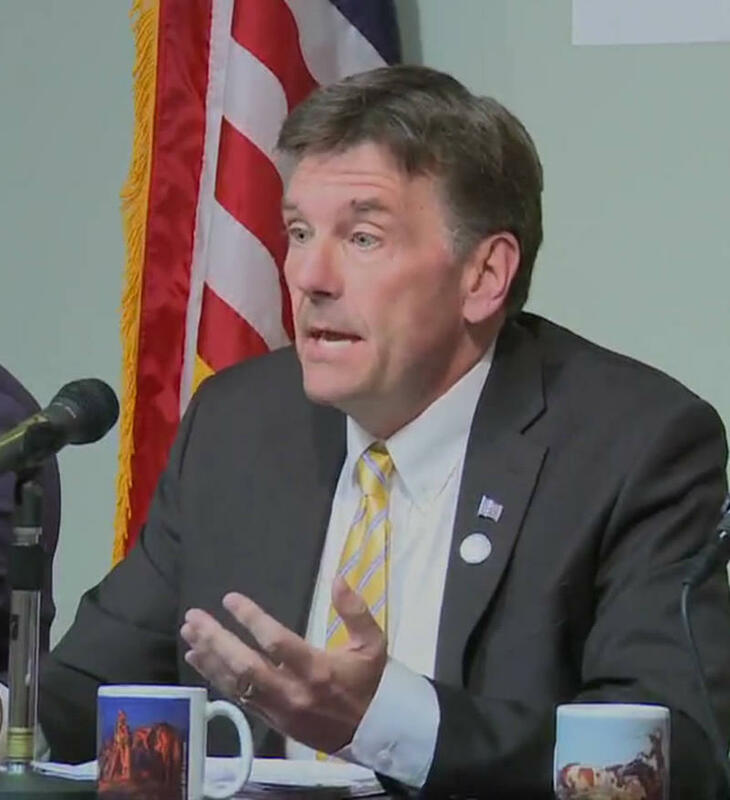 The five Democrats competing in their party’s primary for the U.S. House faced tough questions about their electability Thursday night in a debate in Helena. 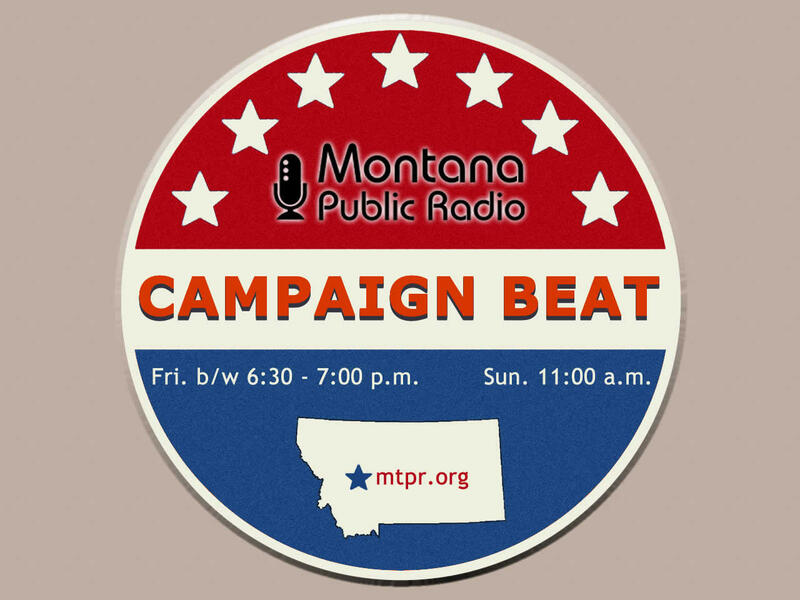 Tonight on "Campaign Beat:" Trump threatens Tester, Republicans debate who's a "real Montanan," and the new campaign ads range from funny to poignant. 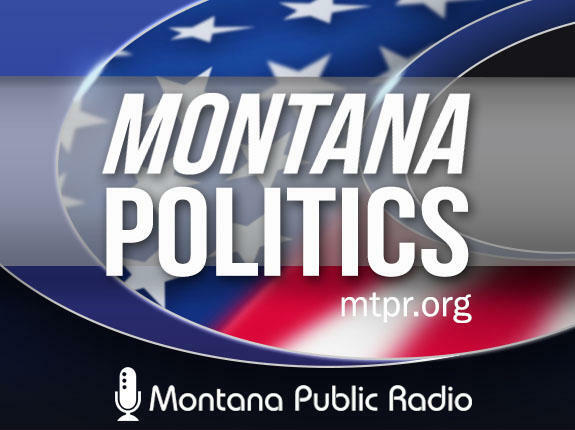 Sally Mauk, Chuck Johnson and Rob Saldin review this week's Montana campaign news. President Donald Trump called out Montana Senator Jon Tester today on national television in the wake of the President’s pick for VA Secretary withdrawing his nomination. On Wednesday Tester, a Democrat running for a third term in November, released a two-page list of allegations against Admiral Ronny Jackson. Tester said they came from 23 active duty military personnel and veterans who served with Jackson, none of whom were identified, because, Tester said, they feared retribution. Senator Jon Tester this afternoon released a two-page summary of allegations against Admiral Ronny Jackson, the physician President Trump has nominated to be Secretary of Veterans Affairs. They include accounts of drunkenness, over-prescribing drugs, and creating a hostile work environment.